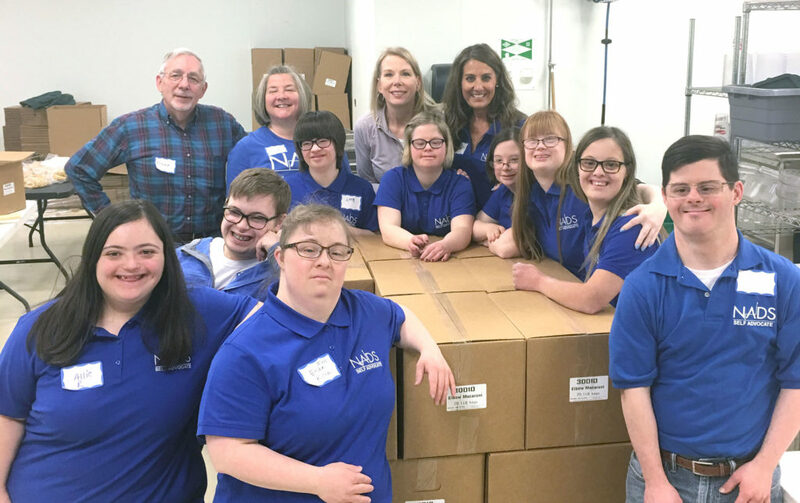 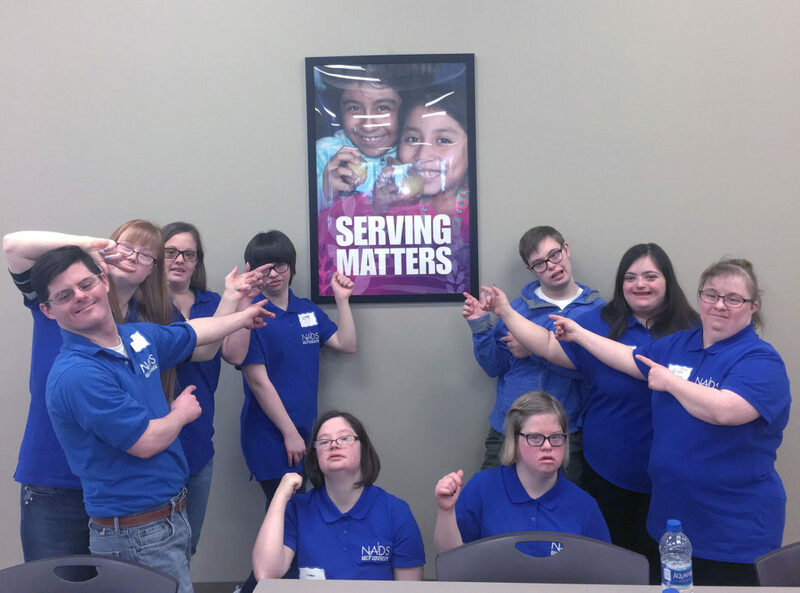 On Saturday, April 13, NADS Self-Advocates volunteered at the Illinois Food Bank. 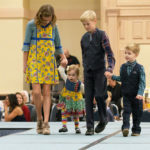 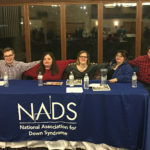 The service project consisted of nine of NADS Self Advocates and four Parents. 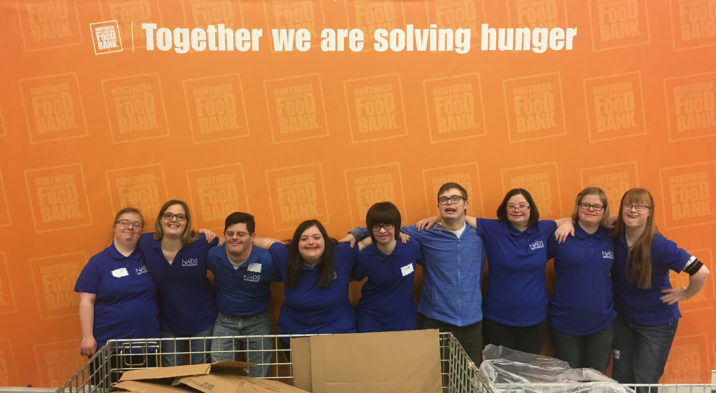 The Illinois Food Bank is in Geneva and they worked a 3-hour shift labeling food and boxing up 116 boxes (serving 1,933 meals, 2,320 pounds) for the hungry neighbors in Illinois.